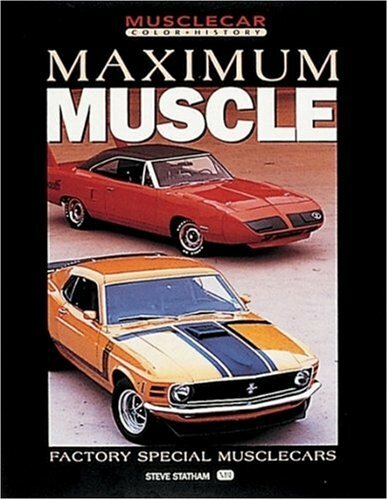 Product Description: During the height of the muscle car era, Ford, Chrysler, GM, and AMC offered a number of cars which, in addition to being street legal, were designed to meet the specifications necessary to campaign the NASCAR, NHRA drag racing, and SCCA Trans-Am race series. This color history examines the design, technology, and marketing of these homologation specials and puts them together in one book. Modern color photography of showroom-quality examples provides a view of remarkable machines like the Boss 302 and 429, Chrysler Hemi, Plymouth AAR Cuda, Dodge Challenger T/A, AMX Javelin, Mercury Cyclone Spoiler, and Plymouth Superbird.